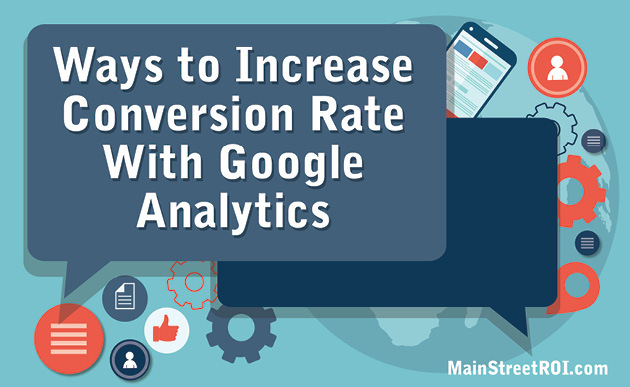 Google Analytics is a must have tool for digital marketing professionals and webmasters alike. In this article, I’m going to discuss the best ways to utilize it to help increase conversions on your website. Whether you run an online shop and want to better understand your audience to increase sales, or if you own a small business where your main objective is collecting leads, Google Analytics can provide you with everything you need to discover how you can improve in all aspects. Let’s break down 5 of the best ways to utilize your analytical data. By segmenting your data channel, you can really start to understand which marketing efforts are performing better than others, and also understand which efforts may need a little work. Upon inspection, you may find a big difference in levels of traffic and conversions between different channels, so it’s always important to be attentive to this. To access this data go to Acquisition > All Traffic > Channels. 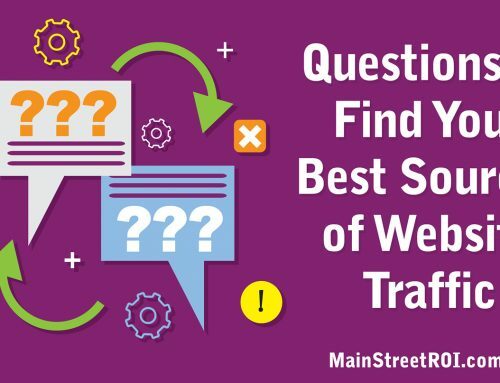 You will typically see between 4 and 8 different channels of traffic and if you can properly analyze the data, it will show you where to prioritize your efforts. The channels you may see in the list are: Organic, Social, Referral, Email, Direct, Paid and Other traffic. As an example, you may find that Paid search traffic has a lower conversion rate than Organic search traffic. This could come down to how your campaigns are set up in AdWords — and a low conversion rate should send alarm bells ringing to reevaluate your AdWords setup. A reason for a lower conversion rate with AdWords could be that your keyword targeting is too broad, meaning that irrelevant phrases are triggering your ads. Alternatively, the landing page you are sending traffic to isn’t optimized for the campaign(s) and should be revised. By reviewing which channels are doing well and which channels aren’t, you’ll gain insight into where to focus your precious time and energy. Looking at how well pages on your website perform will help you to understand what your potential customers are most engaged with on your site. Break down engagement metrics and see which pages get the highest traffic volume, as well as your top landing and exit pages. From the landing pages report, you are able to look at data for specific pages, which is really useful when analyzing the performance of pages. In this report, you can look at all of the pages on your site (by default, in order of total sessions) and view the user metrics for each page. This includes the bounce rate, the pages visited per session (after landing on the page), the average session duration and the conversions/e-commerce transactions that were a result of a visitor landing on the page. The bounce rate indicates that someone landed on the page and left without visiting any other pages. This is very useful data, as it will show which pages visitors found irrelevant to their search query. The bounce rate is different from Exit Rate, which refers to visitors who leave your site from a particular page when coming to that page from somewhere else within your site. You should be aware that both Bounce Rate and Exit Rate play a part in Google determining a site’s overall ranking. By highlighting pages that have high traffic levels as well as high bounce rates, you can gain information that will help you to review the User Experience Design of the webpage and see if you can make improvements that can keep your visitors on the site. By segmenting the data (above the graph) you can select different channels, e.g. Social and Organic, and see different user metrics for each channel. For businesses that sell products through an online shopping system, the E-commerce reports will enable insights into your shoppers’ journey from entry to conversion. You must specifically set up e-commerce tracking and implement the required code to utilize these reports. The Product Performance section within the E-commerce reports allows you to analyze user interactions with products, and understand what is converting at the highest rate. This is where you can break down the product sales performance by dimension. This can be by product name, product category, product brand, or SKU. Let’s say for example, you’re reviewing your Google Analytics reports and you notice that sales for one of your most popular products, Product A, is 40% lower than what it was at the same time last year, whereas revenue from a newer product, Product B, has shot up by more than 150% in comparison to the same period last year. You will also see various product metrics such as: revenue, unique purchases, quantity, average price, average quantity, cart to detail rate and product refund amount. Be sure to look at products with a high total refund amount. This could support the case that there may be a satisfaction issue. For example, if a product with a high total refund amount is an expensive item, with a high average price and a low average quantity, a high amount of refunds could be why the product revenue is so low. A high product refund could suggest that the customer wasn’t satisfied with the product, or the advertisement was misleading. After reviewing the data, you can resolve your issues, by ensuring your ad copy in any advertisements and the page copy is 100% accurate. Or, you may need to reevaluate the pricing of certain products. What stops a visitor from making a purchase? If you notice that a certain product or service has had only 1 unique purchase, whereas this time last year it had 10+, you may want to find out why you aren’t selling so many this time around. To investigate this further look into the Shopping Behavior sections of Product Performance. You can do this by clicking on ‘Shopping Behavior’ under the explorer tab above your chart. Look at products with a low cart to detail rate / buy to detail rate. By evaluating the page and reviewing the aforementioned reasons, you should be able to increase the product to cart conversion by making necessary changes to the page. Customer reviews help the credibility of the brand and the product so try to incorporate this feature if you haven’t done so already. Also, review your ads to ensure you aren’t misleading customers. 5. Get to Know Your Visitors: Who, Where, When? Who are the people converting on your site (demographics)? When are they converting (day/time)? Where are most of your sales coming from (location)? This data is crucial to understanding deeper insights into your audience. Here you can get a high-level view of your audience, before drilling down into more details. You may find that there is a ratio of 3:1 male to female users, and a much higher percentage rate of 18-34-year-olds than all other age groups. By clicking on Gender and then selecting an Age Group, you can then view the top interests for a selected demographic, e.g. Males, 18 – 34. Reviewing your customer profile can really help to discover more about your audience. For an e-commerce site, you may want to identify user groups with the highest conversion rate, whereas with a content focused site, you may want to identify user groups with the highest engagement. You can use this kind of analysis to also discover your low-value users, and based on your findings you can eliminate targeting these types of users by excluding demographic groups in paid advertising campaigns with Google AdWords or Facebook. By looking into your Product Performance or Landing Page section in Analytics, you can add a Secondary Dimension to review the day-of-week and hour-of-day that people are visiting your site. This enables you to find out what day of the week and time has the highest rate of conversion for your top products and pages. As is with your demographics, you can use this data to adjust the time and day of the week of your ad scheduling with Google AdWords or Facebook. Understanding where your visitors are coming from is important data that can help inform where you should be advertising . Here you can find what countries, states, and towns your visitors come from. If there are certain areas that you know you never do business with, and they incur high bounce rates and poor user metrics to your site, you may want to consider creating an IP block to ban future visits from that area. This can also help you understand the geographic parameters you should apply to any paid advertising you do so you make sure you’re spending dollars on people that are likely to convert. In order to increase conversions on your website, it’s important to have a full understanding of who your visitors are, where they’re coming from, and what they do once they arrive on your site. By examining the reports above, you’ll be able to make informed decisions about your marketing and use it to grow your business. If you need any advice with optimizing your website for conversions, get in touch with us here at Mains Street ROI and we’d be glad to help.